Mastercard Survey: Use of Mobile for Purchases in Emerging Markets in Asia Pacific Far Surpasses Use in Developed Countries | NFC Times – Near Field Communication and all contactless technology. Use of mobile payments for shopping in such markets as China and India by consumers is far outstripping use of phones for purchases in the most developed markets in the region. NFC TIMES Exclusive Insight – Despite large rollouts of NFC or related technologies in such developed Asia-Pacific markets as Japan, Australia and New Zealand, use of mobile phones for purchases in emerging markets in the region far outstrips those in developed markets, a Mastercard mobile shopping survey found. The findings are not surprising, with many consumers in the emerging markets having leapfrogged over use of cards to mobile payments. According to the survey results, consumers in India retained the title for the second year running as the region’s top mobile shoppers, with just under 76% saying they had made at least one purchase on their phones within three months–Mastercard’s definition of mobile shoppers. China and Thailand were both above 65%. Meanwhile, the Philippines and Malaysia were tops in growth, though Mastercard didn’t release figures on the base for comparison. 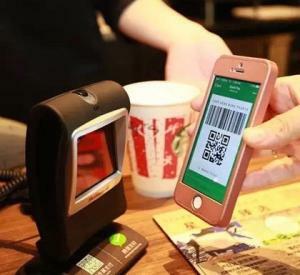 Consumers in the most advanced markets, where banks and third-party wallet providers are rolling out NFC, such as in Australia and New Zealand; or mobile FeliCa, as in Japan; were not as avid users of their mobile phones for shopping. The survey found that only 31% of consumers had made at least one purchase on their mobile phones in Japan within three months and 26% had done so for both Australia and New Zealand. Apple Pay has launched in all three markets, though the Apple Wallet has a limited number of major banks in Australia and New Zealand.